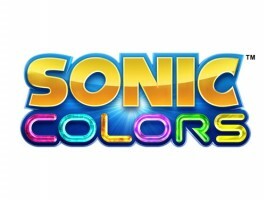 In a preview published by UK based Dealspwn detailing the multiplayer component of Sonic Colors, there lies at least a hint that the so-called “Sonic dolls” presently on display won’t be the only ones available to play. Finally, I just had to ask whether we’d be seeing any other characters in the final version. Whilst the QA rep was extremely cagey about revealing any details at this stage, he certainly hinted that the Sonic Doll certainly wouldn’t be the only multiplayer skin on offer. Our money’s on the original Tails Doll, but I wouldn’t be surprised to see some more familiar faces make an appearance. It’s a significant remark if true. Certainly, nothing is confirmed, but it’s sure to whet appetites and stir speculation on who else could join in on the multiplayer campaign. We’ll label it rumor for now, but we will keep tabs on it and let you know anything more that we hear. Thanks to Jscsonic and Silverwind for sending this in. If you have news to share, be sure to share it with us by clicking News Tips at the top of every page.